IT isn’t every day that people line up in their droves to wave me off. Fair enough, folk are often glad to see the back of me, but this was different. Perfect strangers stopped what they were doing when they saw me approaching, others hung out the windows of their flats in anticipation of me passing by, and I lost count of the number of folk taking pictures. OK, so they might have been more interested in the fact that I was on the Waverley, but it all still felt quite special. And that’s because the Waverley is special. 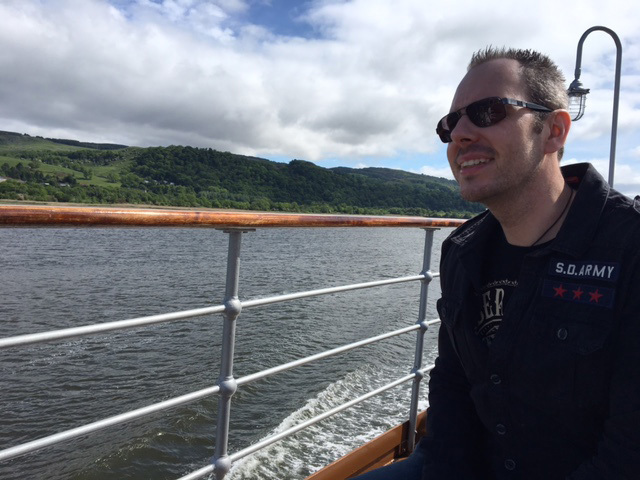 Sunday Post writer Murray Scougall on the PS Waverley. The last seagoing paddle steamer in the world, 2017 just happens to be the 70th year since her maiden voyage. 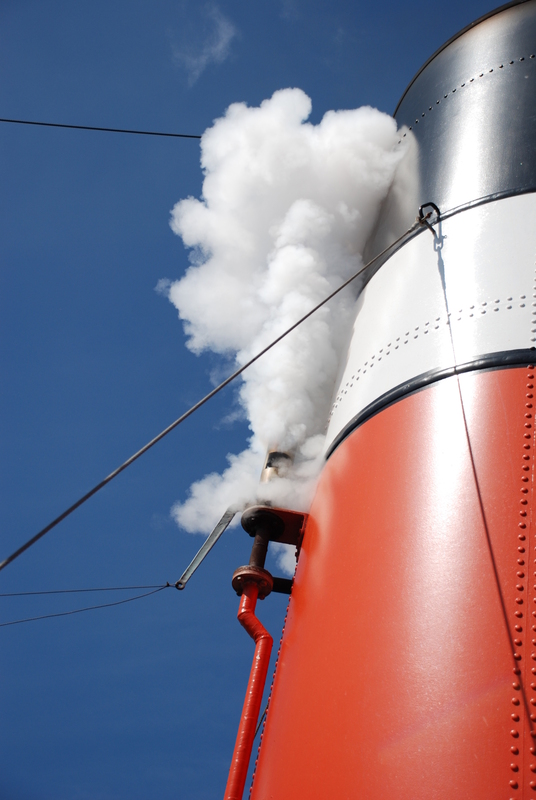 Judging by the crowds who were on-board during our day trip, she still has plenty of steam left in those famous funnels. 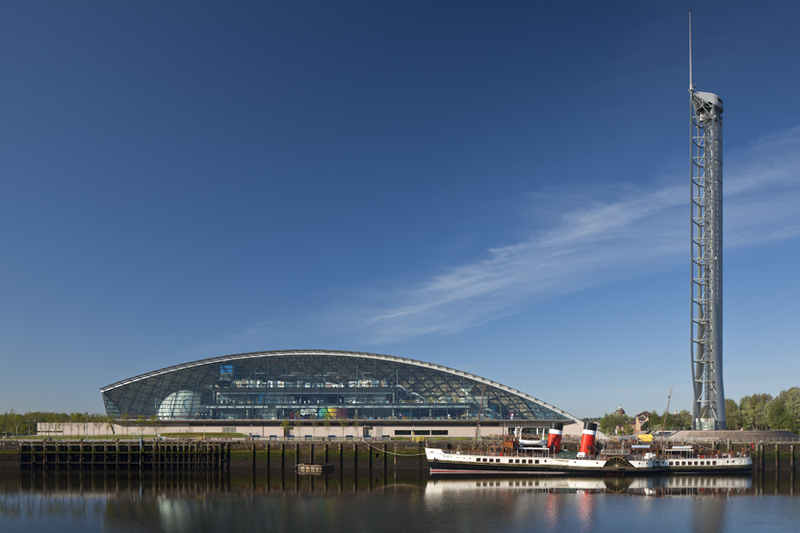 We hopped on board at the Glasgow Science Centre two Sundays ago on what was the first weekend of sailings for the Waverley this year. There’s a sense of magic and nostalgia to be found in every corner of the steamer, which attracted all ages – kids right through to older people who just might have taken a trip doon the watter during the Waverley’s heyday. Wandering around the deck, it was nice to see not just the age range, but also the strong mix of tourists and locals on board. The weather was on our side, so we took up a position on the top viewing deck. We were soon waving out to those in the riverside flats in the west end of the city, all the way down to Clydebank, before the river opened out into a mass expanse of water. Along the way we passed the remnants of the shipyards as well as the final survivors of that once thriving industry, while the captain announced sights and landmarks to look out for on our leisurely cruise. After a couple of hours up top, we went exploring below deck, where we found there’s also plenty going on. The Dining Saloon offers a menu of snacks and hot meals with stunning views to look out on as you’re eating. For those after a lighter meal or just a cup of tea, there’s the Caledonia Tea Room. Then there’s Jeanie Deans, a well-stocked bar with beer on draught, and for those wanting their insides warmed up, The Talisman Malt Whisky bar in the lower level offers up more than 30 single malts. At least I think it was 30 – after a wee while sampling the offerings down there it all became a bit hazy. Those who know their Sir Walter Scott works will realise The Talisman is named after one of his novels. And of course the Waverley takes her name from his first novel. She was built for the London & North Eastern Railway to replace the paddle steamer, HMS Waverley, which was sunk on May 29, 1940 while evacuating troops from Dunkirk. Launched in 1946 from the former A&J Inglis yard in Glasgow, she was later towed to Greenock where her triple expansion engines were fitted by Rankin & Blackmore. Those incredible mechanisms are on full working display in the bowels of the paddle steamer and watching the huge brackets of machinery go full pelt has a somewhat hypnotic and mesmeric effect. We were on the four islands cruise, which stops at Greenock, Rothesay, Largs, Millport and Lochranza (and sails round Holy Isle), following the same course in reverse as she returns to Glasgow. 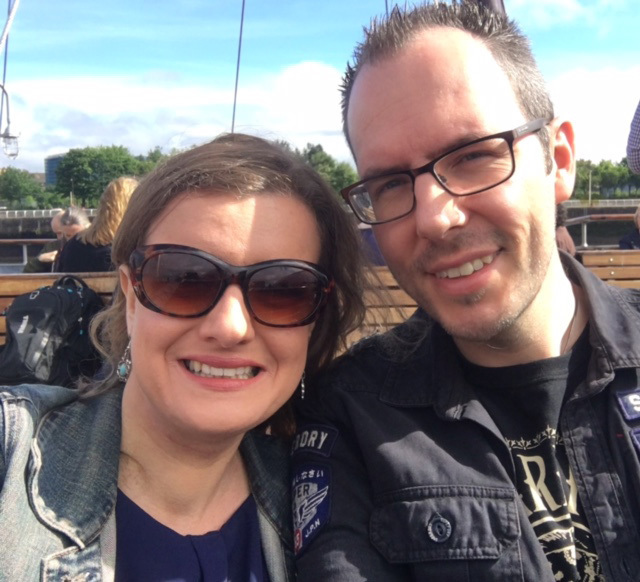 It’s just one of many routes on offer around the west coast throughout the summer months, before she travels to the Bristol Channel, the Thames, the south coast, Wales and Northern Ireland, before heading home for a few dates in October. We disembarked at Largs and enjoyed a few hours there before jumping back on board for the trip back to Glasgow. At nearly 12 hours it’s a long day (there are shorter cruises available), but not once did it drag. 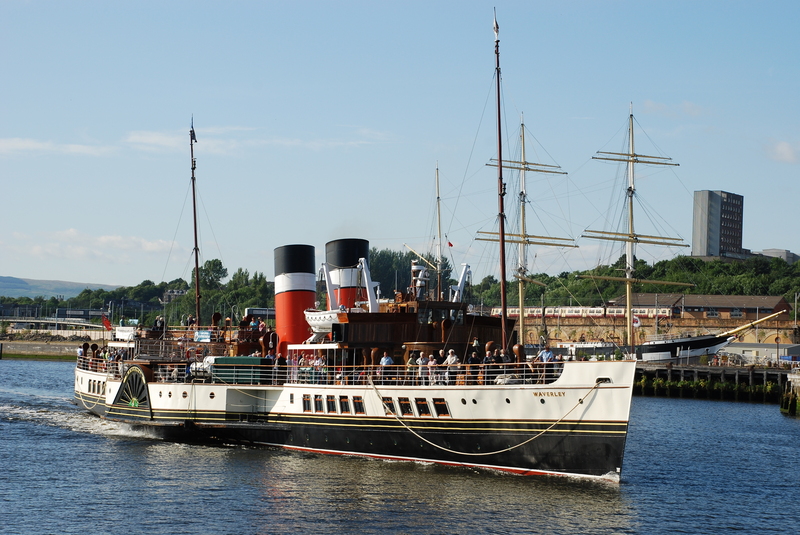 The Waverley is run on a charitable basis these days after a major restoration project returned her to her 1940s glory. It’s clear a lot of love and attention was spent on the paddle steamer and continues to be shown with each sailing. So don’t be one of those people on the riverbank waving as she sails by. 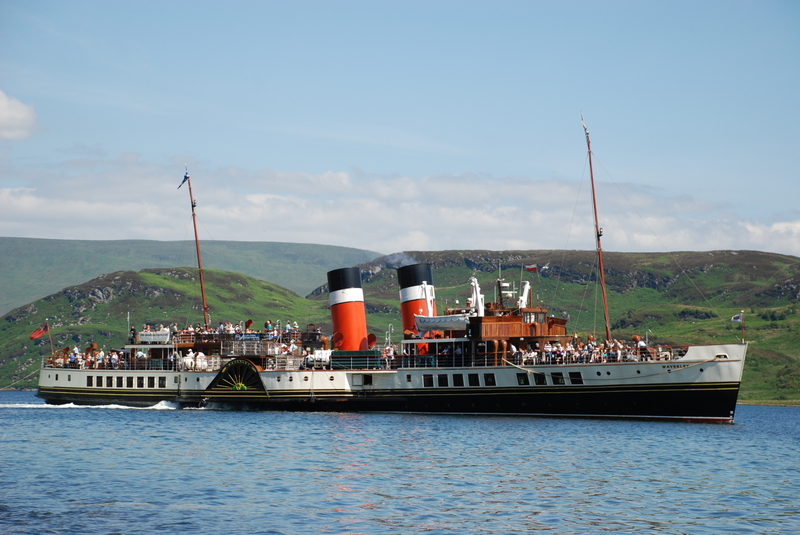 Instead, be one of the 130,000 passengers who sail the Waverley every year – it’s a day out you won’t forget in a hurry. Alternatively, tickets can be purchased from Glasgow Tourist Information Centre or by calling 0845 130 4647.